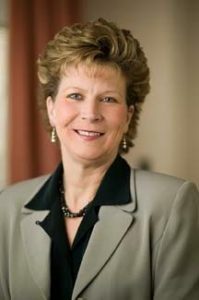 President: Shelley Sahling-Zart is Vice President and General Counsel at Lincoln Electric System and has worked in the electric utility industry for 30 years. Prior to being appointed as General Counsel in 2011, she served as Vice President & Assistant Counsel. Shelley has worked at LES since 1988. She holds a Bachelor of Arts Degree in political science from Doane University and a Juris Doctorate from the University of Nebraska-Lincoln College of Law. Shelley previously served two terms on the Board of Directors for the American Public power Association. 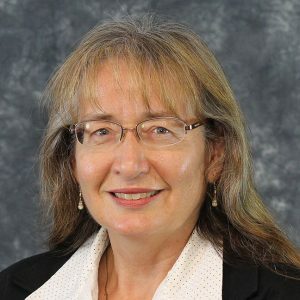 She also recently completed six years of service on the federal Surface Transportation Board’s Rail Shipper Transportation Advisory Council, including one year as Chair of the Council. Vice President: Emily F. Regis is Fuel Resource Administrator for Arizona Electric Power Cooperative, Inc. (AEPCO). Emily has more than 19 years of experience in all aspects of the fuel supply chain including coal and rail negotiations, logistics and planning, rail car leasing and maintenance, and administration and management of fuel supply and transportation contracts. Emily received her BA in English in 1989 from the University of Wyoming and currently resides in St. David Arizona. Since 2008, Emily has been heavily involved in the leadership with the National Coal Transportation Association (NCTA) and currently serves as President of NCTA. .
Secretary/Treasurer: Paul Gutierrez works as a lobbyist at the NRECA. His main areas of responsibilities include working on legislative and regulatory policy strategies, outreach and coalition coordination in the areas of taxes and transportation. He worked both in Washington DC and in the State of New Mexico as political appointee and government relations professional. From 2007 to 2013 Gutierrez served as the Executive Director for New Mexico Association of Counties which represents elected county officials and employees at the state and federal levels. He previously served as the Deputy Assistant Secretary for Civil Rights at USDA and was state director for both the Rural Development and Farm Service Agencies in New Mexico. He also worked as the deputy director of International Programs and Intergovernmental Affairs at the U.S. Consumer Product Safety Commission in Bethesda, Md. Gutierrez, a native of Magdalena, New Mexico grew up on a cow calf ranch and small farming operation. He earned a B.S. degree in agricultural economics from New Mexico State University in December of 1992. 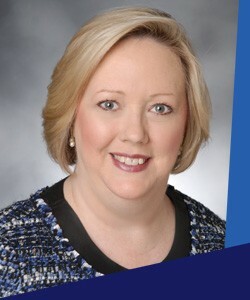 Spokesperson & Point of Contact: Ann Warner, managing partner, Ann Warner LLC, Alexandria, VA. Prior to only focusing on Federal government relations support functions in 2018, Warner served as FRCA’s executive director from September 2015 thru December 2017. Warner was interim executive director of FRCA’s predecessor, Consumers United for Rail Equity (CURE) where she led the group’s rebranding and restructuring efforts. Warner has three decades experience providing strategic, integrated government relations programs/services in the surface transportation, aviation, infrastructure and water sectors for state, municipal and private sector clients, including innovative start-ups, international corporations (U.S. and foreign-owned), international and national associations, and coalitions.